Central to our work within the school is learning about our faith, including understanding ourselves, our position in our community and how we develop as human beings – our spiritual, social, emotional and physical development. 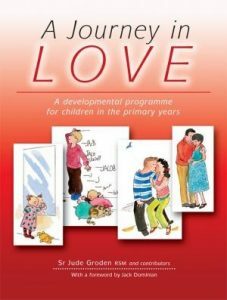 This is how A Journey in Love fits in to the school’s curriculum. The scheme permeates through all levels of learning throughout the school. It focuses on friendship, family, community, relationships and spirituality; a guide to the children’s development as young Catholics. Our RSE leads are Miss Kayayan. Below are video slideshows of the course content for each year group.